You changed DOJ policy to require prosecutors to pursue “the most serious, readily provable offense” in every case. Is Special Counsel Mueller bound by this policy? Does the policy apply to individuals who intentionally omit legally required information on their SF-86 security clearance forms? In explaining why you omitted contacts with Russian officials on your security clearance form, you claim to have received guidance from the FBI instructing you to do so. Did you receive that instruction personally, or was it received by a member of your staff? Do you have documentation of this guidance and will you share it with Congress and the public? To what extent has the Department of Justice worked with attorneys for the Trump Organization to defend the president against charges that he is in violation of the Emoluments Clause, for example to assure DOJ lawyers that payments to Mr. Trump’s businesses are in fact market rate transactions? Multiple reports have indicated that senior White House officials, including Ivanka Trump and Jared Kushner, have used personal email accounts for government business. Has the Department of Justice taken steps to investigate this matter and those involved, such as securing their server and reviewing the information on it for potentially classified information? What steps has the Department of Justice taken to investigate affirmative action practices in college admissions? Beyond Harvard University, are there any active probes into other institutions? 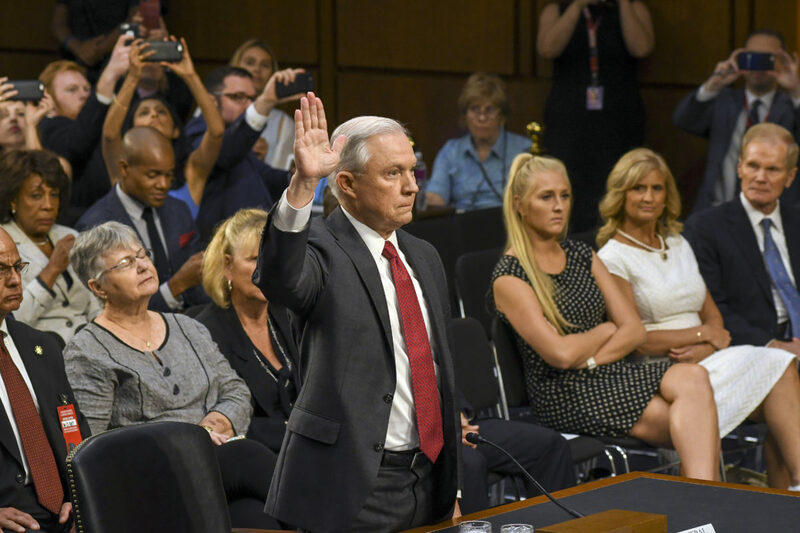 American Oversight has opened numerous investigations into actions by Attorney General Sessions’ Justice Department. To date, American Oversight has confirmed that Sessions had omitted contacts with foreign government officials on his SF-86 background check form, confirmed the existence of an investigation into Harvard University’s affirmative action practices, and forced the Department of Justice to admit that there was no evidence to support President Trump’s ‘wiretapping’ allegations. The Corruption Continues: Mueller Has Finished His Work. American Oversight Has Not. New Lawsuit: Did the FBI Really Advise Sessions to Omit Russian Contacts?